The Gold and Silver "Shortage"? The Gold and Silver “Shortage”? A pet peeve of mine is when an article is published talking about a shortage in silver or gold. Recently, we have seen an increase in articles claiming that there is a precious metals shortage simply because both the U.S. mint and Royal Canadian Mint ran out of blanks. Both government mints predetermine a rough amount they will mint at the start of the year. When demand surges, a “bottleneck” can occur and this has happened in the past. Why is this such a pet peeve? Because a shortage in a specific silver product does NOT mean a shortage in the raw material. It would be like saying there is a rice shortage if Rice Krispies stopped being produced momentarily. Can there ever be a shortage of silver or gold? Theoretically, if you take the industrial aspect of silver to the extreme and industrial consumption skyrocketed and consumed total silver supply (primary supply + secondary supply+ above ground inventory) where primary supply is worldwide mine production, secondary supply being recycled silver and above ground inventory which is roughly 2B oz., then yes, total silver supply would be consumed. However, in this thought experiment the probability is that those holding silver for investment purposes, would be willing to sell silver at astronomical prices as the industrial demand continued ever stronger. But isn’t that a shortage? Wouldn’t there be pressure on and industrial user as to how much they would or could pay? In other words what influence would the market put on these buyers and sellers? It must be pointed out that a vast amount of industrial products are price inelastic to the price of silver because so little is used per item. So even if silver were to go up ten or twenty-fold, the amount used is so small in price relative to the overall sales price of the item, that these industries would simply pay up to continue their manufacturing schedule. This is true in many electronic and medical applications. 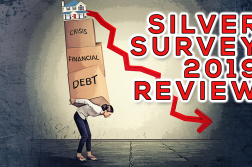 High prices would drastically influence silverware and jewelry, which would likely see large declines in sales and that of course spills over into lower demand for silver as a raw material. Further, let us admit here and now that perhaps some industrial users might stockpile silver or “hoard” metal. This is stated from experience as Ford Motor “hoarded” palladium for their assembly line as the price went parabolic. Remember an increase in consumption of silver would lead to increased secondary supply. Roughly 20%-25% of silver is recycled. If industrial consumption began to exceed primary supply as a result of increased demand, it would necessarily increase the market price of silver as well as increase secondary supply, since it becomes more economical to recycle silver at $20/oz. than at $15. 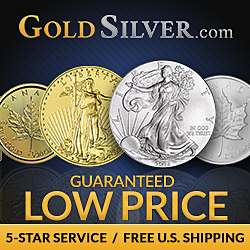 Taking this further, it is more favorable to recycle silver at $30/oz. relative to $20/oz. and so on. Furthermore, due to the roughly two billion troy ounces in above ground inventory, even if Industrial consumption increased substantially, it could be offset partially or perhaps totally by secondary supply. Additionally, higher silver prices would allow mines which were previously uneconomic to become economic, and more silver mining could take place, adding to supply at the very least, under the current energy dynamics. So even if taken to the extreme, the idea of silver being in a shortage is a statement that one must consider carefully. In practical terms seeing industrial demand skyrocket is nearly impossible at least in the current worldwide economic landscape because, the Greater Depression which began in 2007 has not ended. 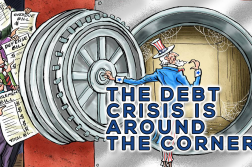 Since 2007-2008, the debt/GDP ratios in the major world economies has skyrocketed to dangerous levels such that providing an environment for real economic growth to occur, would cause the interest payments on debt to soar. In other words, because central banks do what the government tells them, allowing the natural rate of interest to prevail is realistically impossible. Simply stated, industrial consumption skyrocketing at this time isn’t realistic and realistically, silver and gold are not in a shortage. The definition of shortage at least in this case is the demand for gold/silver being greater than the supply. But both metals are available at some price and given the fact the physical market has yet to overtake the paper market at current metals prices, speaks volumes – at least for now. Again, we suggest in a panic, the metal needs to be available in the right location coincident with demand. Near the end of their hyperinflation, Zimbabweans could not get gold or silver, regardless of what they were willing to pay. But even when the physical market is where true price discovery occurs, both metals will be available at some price, according to classic economics. For example, let’s say a few years from now gold is at $10,000/oz. and silver is $500/oz. and if you wanted to acquire 100 oz. of gold and 10,000 oz. of silver it would not be a problem. Even if it were a “problem” then an increased bid to a higher level would occur and clear this transaction. These metals have above ground inventories in the billions, and they’re not like wheat, corn or other agricultural commodities where they can be consumed entirely. The vast majority of gold is strictly for investment purposes, with a small percentage going to jewelry and much smaller percentage consumed in electronics. Furthermore, roughly – 99%of all gold ever mined in still in existence today. That being said, how could gold ever be in a shortage? Again, in basic economics everything will clear (trade hands) at some PRICE. This strongly suggests that there can never be a true shortage. This does not mean than some participants involved in the precious metals business do not quit, and some manufacturing is disrupted –yet price is supposed to determine who receives the good or service at any point in time. Yet, if we dig a bit deeper and look at what is the demand for money we may get a clearer picture of what many of the shortage articles may be thinking or feeling, yet in my view not really expressing clearly. Remember this is my missive and some will argue my point, but please follow my thinking. There is an infinite demand for money is there not? It could be suggested that money plays a significant role in security during the human experience. If I had “enough money” I could quit my job… Or if I had enough money I could retire in comfort and not worry any longer… Or if there was just enough money then we could feed and house the whole planet sufficiently! Hopefully, you see my point. Now it is possible that faith in the current “money” (private bank scrip) becomes trusted less and less and alternatives are sought more and more. In fact this is actually taking place, but few see it or even consider the implications. 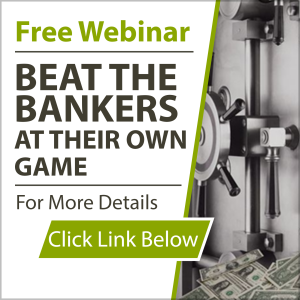 In this discussion we could get to a place where enough of the world market ceases to trust one currency as superior to the next and desires real money – gold and silver! In this case what would happen? The fact is, no one knows for certain. At first, massive amounts of fiat could be exchanged for a single ounce of gold for example, but if the currency were not to be trusted, then precious metals’ owners may not accept currency at any price in exchange. Would this be a true shortage? The inability to exchange precious metals for paper is at the crux of this argument. Would this ever happen? Well, there have been instances in world history where this did happen but were restricted to single countries and for short durations. Is it possible this could happen to the world reserve currency the U.S. dollar? If it were to happen or perhaps more importantly the psychology of the market was the US currency/bonds were failing or about to fail what would that do to the availability of gold and silver? Would these conditions mean –Shortage? So to summarize, in the event of overwhelming and sustained demand, the markets might lock up in terms of being able to successfully allocate metal to those who demanded it. Sellers “speculating” on higher prices could hold back selling, creating massive bid-ask spreads, similar to what happened in 2008 in the retail silver market. All of these things and more, coupled with instant communications, might create contagion, with all academic theories and assumptions being thrown out the window…for a time. Perhaps just long enough for some to hold on to “reality” (real precious metals) when the rest of the world is “reset” to the new economic order. Chris Marchese is the Senior Equity and Economic Analyst for The Morgan Report. He is co-author of The Silver Manifesto available on Amazon with the electronic version available across the web. He holds advanced degrees and worked as an equity analyst for a major Wall Street firm before becoming independent where his views would not be censored. 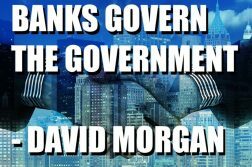 Next Article David Morgan Talks Precious Metals, Credit Purge and the Inflation vs Deflation Debate.